Kas Plane Wreck - Savoia Marchetti SM.79 "Sparviero"
Savoia-Marchetti SM 79 "Sparviero" bombardment plane has been completed in 1935 in Italy. Her wing length was 21 meters and body length was 16 meters. She has 3 motors that was producing 610 hp and 5 crew. She was using her machine guns 3 MG 12.7 mm and 2 MG 7.7 mm for self protection while she was bombarding the allied targets. 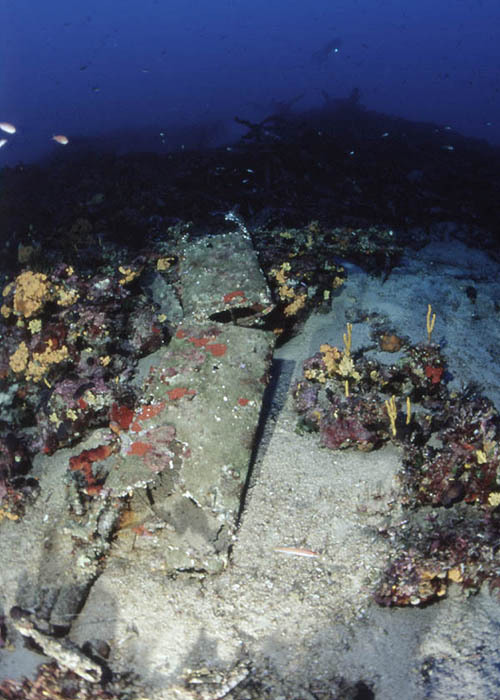 The plane which was one of the most succesfull airplanes of the World War II, had damaged a lot of allied targets in the Aegean Sea. 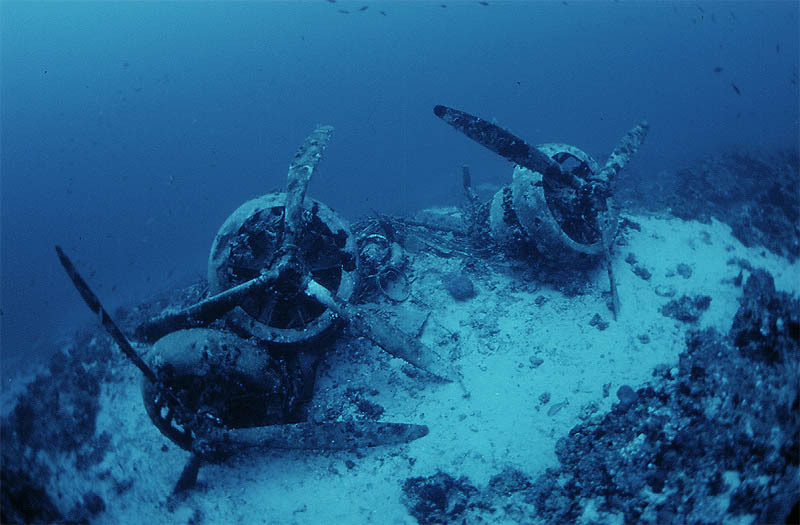 It was thought that she was took off from an air base in Rodos and defeated in the war and sunk near Meis Island. The older Kas countrymen tells stories about this plane. They say that this was one of the three aeroplanes which were shot by anti-aircraft weapons in Meis, while the aeroplanes were trying to bombard the English airbases and ships in Meis where the population was aproximately 14000. One of the planes crashed to the mountains of Kas, the other one was sunked right in front of Meis harbour. The last plane's pilot rejected himself out of the plane but has been shot by anti-aircraft guns. No survivors left from the plane. The pilot has been buried to Kas by Turks but after sometime Italians reburied him and took his body to Italy. 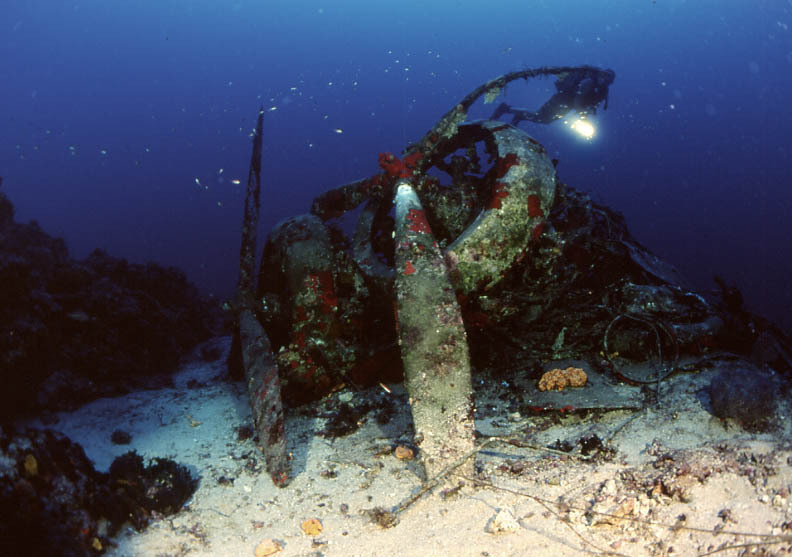 Ugur Eroglu has found the Italian war plane with 3 propellers in 1990. 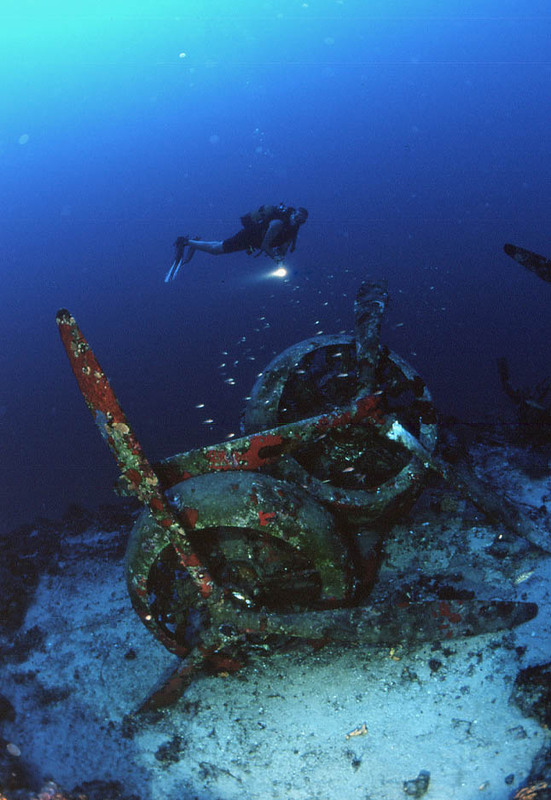 The plane's motor parts can be seen from 57 meters but because of the bottom, its tail and other parts are in 70 meters. There is still ammunition near the plane that didn't exploded, thought to be still active. The plane lies still complete except her motors but because of the time, her body is getting damaged and her skeleton can be seen. 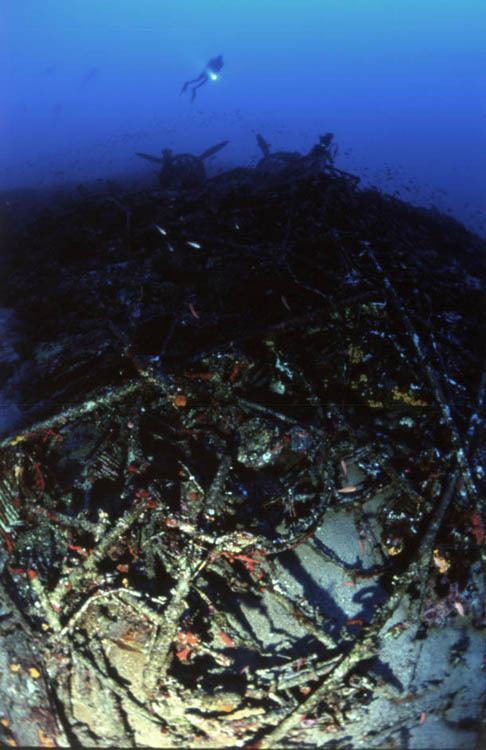 She is lying between 58 and 71 meters in the Flying fish reef in Turkish Waters near Meis island. Some of the information and photos on this page is taken from the internet site of Ozan Cokdeger.